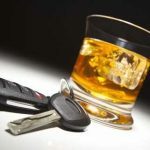 I am often asked as a Buffalo DWI Lawyer about what can happen if you receive a DWI when you already have a previous alcohol conviction. If you are charged with a DWI in New York State, and you have a prior conviction for driving while intoxicated in the last 10 years, you will be charged with a felony. Ten years is the cut-off point in determining whether or not the case will remain a misdemeanor or a felony. If you have a prior driving while impaired conviction within five years, penalties are increased. I advise clients that if you have three driving while impaired convictions within 10 years, what is normally a non-criminal infraction is elevated to a misdemeanor conviction. Remember, two driving while intoxicated convictions in 10 years is a felony. Three driving while impaired convictions in 10 years is a misdemeanor. If you have been arrested for DWI with a previous alcohol conviction on your record, contact Attorney Arthur Pressman.